Presidential Candidates Campaign in California, But Will the State Matter? With just a little more than a week before the June 7 primary, all three Presidential hopefuls have their eyes on California, and had their feet on the ground in the Golden State on Friday. Hillary Clinton met with community members in Oakland. Republican Donald Trump bounced from Fresno to San Diego. 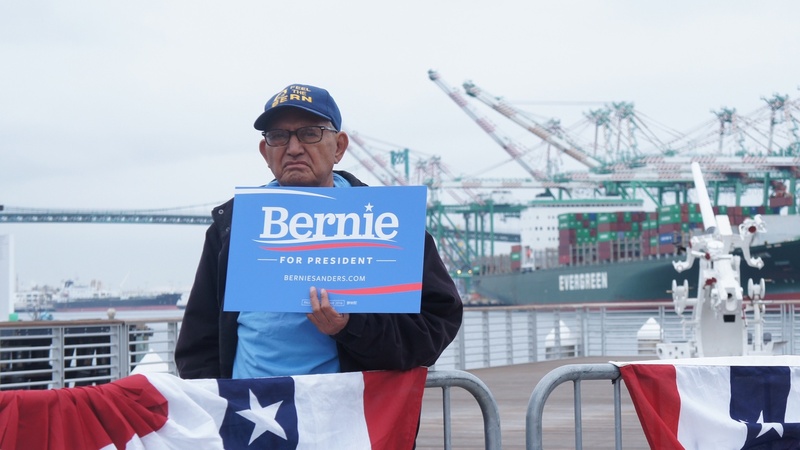 And Bernie Sanders held a rally Friday morning at the Los Angeles Maritime Museum at the Port of Los Angeles. In recent years, LA’s ports have been plagued by challenges. What is the state of LA’s ports today? Meanwhile, while the mainstream candidates are battling it out in California., Libertarians are gathering in Florida. Could 2016 be the year for the Libertarian Party? Then, it’s only May, but summer blockbuster season is already in full swing. We’ll look at this week’s film releases. And finally, is playing video games a sport? If Clinton Clinches Nomination After New Jersey’s Primary, Will California Matter? Will 2016 Be the Year of the Libertarian Party?